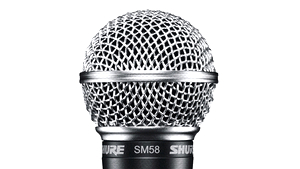 KitMonsters – Shure SM58. The music makers’ guide to making music. 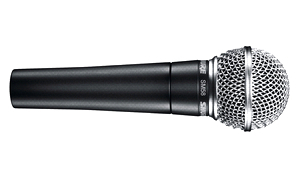 The SM58 is a legendary, industry-standard vocal dynamic microphone. 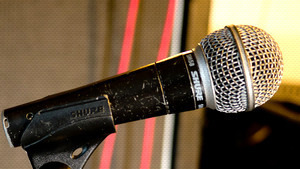 Picking up most sound from the front, and some from the sides as well as being able to withstand high gain without feedback, makes this a versatile and rugged live performance mic. 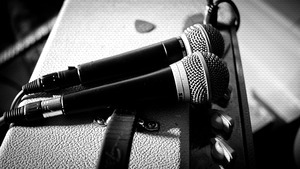 This is very popular with singers, both lead and backing, and is also useful for speech such as djs and presenters. 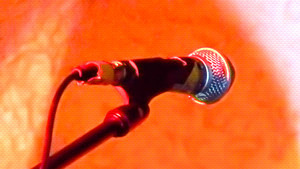 Made of metal, it is tough and more than capable of the violence of a rowdy gig.